Here is my card. This is the first time I made a gate fold card. I embossed the "doors" and used my new Silouette (thank you hubby!) to cut the butterfly. Then I used a thin glue and sprinkled a micro glitter on the butterfly. The paper for the butterfly, stamp, and ink (eggplant envy) are from Stampin' Up. I was in a clean and simple mood-but you can use any style you like. This is gorgeous! I loveeeeeee the butterfly!!!!! Congratulations on the new Silouette! Love your glitter butterfly! Happy New Year to you! Hi Katy! Your card is just beautiful! 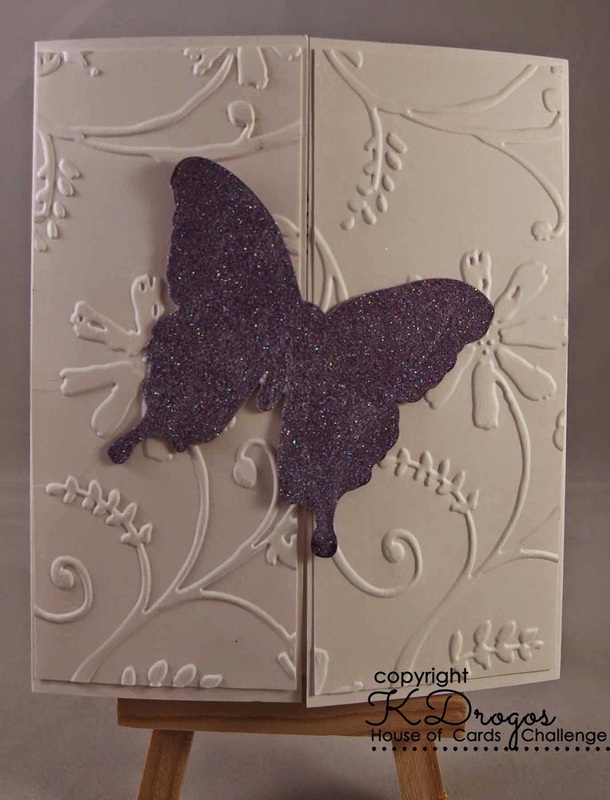 I love your gatefold card, and the glittery butterfly is gorgeous! So glad to be on the DT with you. Happy New Year! This card makes me feel like it is spring outside. Beautiful CAS, love it! Pretty - especially that glitzi butterfly! I am getting Silhouette envy;) .... Happy New Year to you, teamie! Happy New Year Katy! Pretty card! Love the glittery butterfly! So pretty and I love those embossed doors, they look fab. 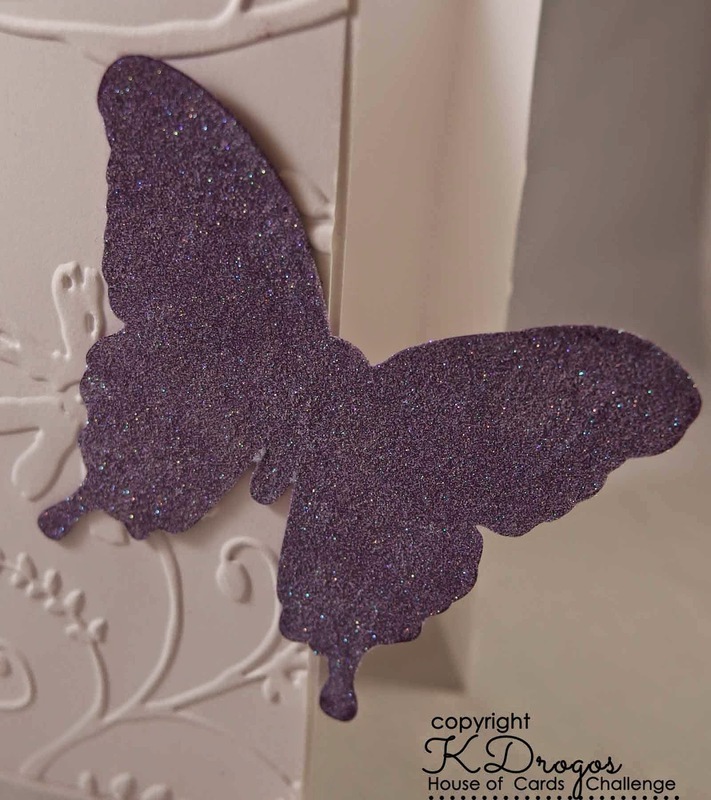 Beautiful glitter butterfly card! Very pretty! Great card Katy, I love the CAS style. So simple and clean which I, of course, adore! The folding is cool--I need to try this out! Beautiful folding for this nice card, Kathy! Love the glittering butterfly. Lovely card you have. Think I have to use my embossing folder more. This is very nice. Gorgeous card Katy, I love that sparkly butterfly!